What social media channels do you use? How do you monetise your platforms? At what stage can you measure conversions? These questions were put to the panel of social media savvy entrepreneurs & start-up founders last night at Social Media Club, Auckland. The panel of speakers: Makaia Carr (Motivate Me), Ken Brickley (BuddyBid), Wendy Thompson (Socialites) & Alex Mackrill (GrabOne) voiced their opinions on what has worked for them on brand strategy, business growth, customer engagement & innovative marketing on social. I learnt that New Zealander’s love and engage with Facebook more than any other social media platform & is the most successful for monetisation. What about Instagram, Twitter, Snapchat & Pinterest? Apparently, these platforms are still in there infancy in NZ and most of us now have a smartphone, which has revolutionised the way we communicate. Jam Mayer was the MC for the evening: articulate & erudite on social. Sarah Evans (Semble) was the shiny new thing (brand) in the room – I agree. What is Semble? “It’s NZ’s mobile wallet where you can pay for things using your phone.” Presently only available on Android. Amazing concept – who needs a purse or wallet (anymore) when you can pay with Semble? Impressed. 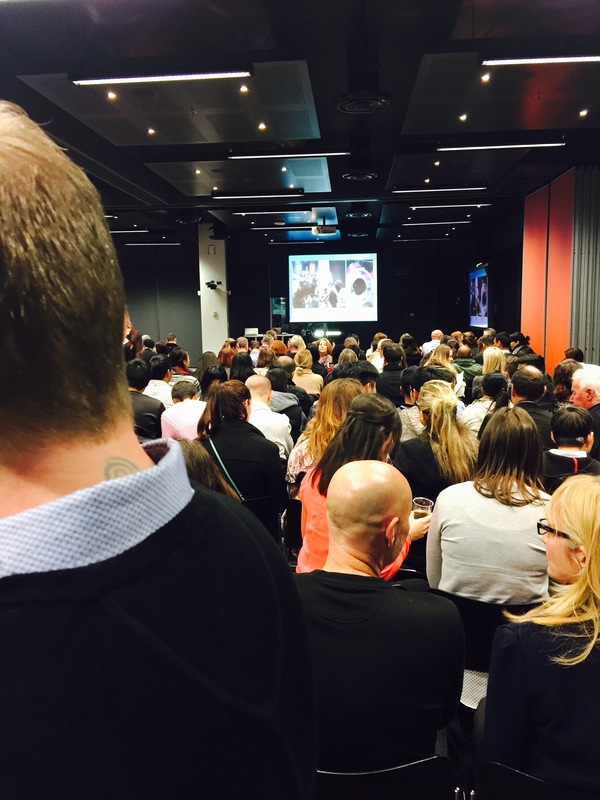 This event was attended by up to 300 people – monetisation on social is a ‘hot’ subject – the present, our future.